Let us look at the targets of paedophiles – Our Children. * Children who are vulnerable and confused. * Children who lack affection. * Children who lack physical and emotional attention. * Children who are left alone or left to look after themselves. * Children who are in situations where there are no responsible adults to look after them. * Children who live in homes where there are substance abuse. * Any child. Our children. Sexual predators rely on children to feel powerless, vulnerable and confused. Abusers are less likely to abuse children who are assertive, confident and informed. We need to grow confident children, who know that they’re important and know that they are valued as unique, beautiful individuals. Children who know how to say what they mean; who can honour their beliefs and values, and can speak up loudly if they find themselves in situations that may potentially prove dangerous [assertive children]. 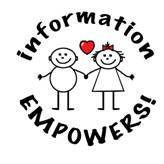 Children who are aware of the dangers of child sexual abuse [informed children]. How do we do this? We build confidence in our children. We teach them to speak up, and we teach them this in an age-appropriate and non-fearful way. * Believe in your child and show it – let her know she’s a worthwhile, loveable and unique individual. done, that was hard, and you managed it” is music to young ears. * Reassure your child that it is OK to make mistakes and that it’s all part of growing up. positive prompts to encourage your child to continue talking to you. * Acknowledge your child’s feelings – and help her express them verbally. person and is causing things to happen because of her own stupidity. This is very damaging if it goes on for a long time. * Be clear that it’s an action you’re angry about or behaviour you don’t like. happening at school, and comment to show that you are listening. aside. If your child says: “I’m useless at maths,” say: “You’re obviously finding maths a struggle, how can I help you?”. confidence, and sometimes your child will need to learn by her mistakes. * Laugh with your child – never at her. * Focus on your child’s successes – swimming, music, whatever she can succeed at. * Don’t shout or swear at your child – this is worse than smacking. * Use discipline that doesn’t hurt, shame or humiliate your child. Things you say about yourself can damage your child’s self-esteem. Children learn a great deal from copying adults close to them. If you overreact to situations or pressure, your child may worry you really can’t handle life’s challenges. This won’t set your child an example of a positive, optimistic attitude to life and how to handle problems. Think before you speak and choose your words with care – it’s very easy to say something without thinking, and then wish you hadn’t. Too many negative remarks can result in children believing they’re stupid or useless. Learn how to say NO! to adults, without worrying that the adult will be offended. Where safety is concerned, any well-meaning adult will understand the child said NO because they felt threatened or were listening to their inner voice / intuition. Teach your child to shout: “This is not my mom / dad”, or “This person is trying to take me”, when they are confronted with a situation where someone they don’t know tries to take them away. The louder they shout, the better. Bystanders may think that it is just a child being difficult, but if they specifically shout these words, people will sit up and pay attention and help. Teach your children that it is OK to stop a conversation with an adult if they feel uncomfortable about the direction the conversation is taking. Stop and walk away quickly. Intuition is hardly ever wrong. A well-meaning person will understand when a child feels uncomfortable and wants to stop the conversation and leave. Teach your child to RUN and TELL if someone asks them to keep a secret that makes them uncomfortable or feel unsafe. And when someone tells them to keep quiet about something that has happened, RUN and TELL! Teach your child about body privacy. My body is MINE! Nobody must touch it, and I mustn’t show anybody my private parts. Private parts are those covered with a swim suite. Again, they must RUN and TELL if someone tries to touch or see their private parts. Teach your child that you [the parent] will back him up no matter what, when he has reacted on his instinct or intuition. For example, if he was rude to a neighbour because he felt the need to stop the conversation, or he was rude because he said NO to someone, because he felt unsafe or uncomfortable. Back your child up – you’ll help them gain confidence and this will ensure that he knows he can talk to you about anything and that you believe in him. Teach your child that they can tell you anything and you will not be angry, disappointed or shocked; but rather that you can handle anything they could possibly tell you. Listen to your child. Teach in a non-fearful and age-appropriate way about the dangers of child sexual abuse. Not all people are bad, but there are people out there who may want to hurt children. Not all adults or older kids can be trusted – show your children whom they can trust. Teach your children about body privacy, using the correct terminology for body parts. Always check with you before going somewhere with anybody. Don’t leave a public place with anybody where they can take them to be alone. Always stay in the public eye. Create a password that only you and your child knows to use if, for example, someone else has to fetch them from school. If that person does not give the password, your child is not to go with them; and must tell a teacher or responsible adult about this. Do not send your child out on errands – to the shop, to the neighbour. This opens the possibility of abduction and abuse. Know your child’s routine and who they are with at all times. Teach them that if they change their routine for any reason, they must check with you first. Have a safe alternative place for your child to go to if you are not home. Confident, assertive and informed children are less likely to be a victim of child sexual abusers.